What percentage of college students who kill themselves are male? Why do you think more/ less boys than girls kill themselves? Seventy-five to 80 percent are boys although more girls attempt suicide. Boys are more involved than girls in all forms of aggressive and violent behavior. I’ve heard that suicides are more frequent around the holidays? Is this true, and if so, how much do they increase at that time? Suicides are not more frequent during the holidays. It appears that the rates are the highest in April, and the summer months, June and July. It is often said that a suicidal person goes through a period where he seeks for help from other people. Does this then mean that it could be ultimately the fault of other people (because they don’t appear concerned enough) that one decides to kill him/herself? Not a fair conclusion, although it could be a contributing factor in some cases particularly with elderly, terminally ill people. What is the biggest cause of suicide among college students? Ninety-five percent are suffering from mental illness, usually depression. If depressed, substance abuse, anxiety, impulsivity, rage, hopelessness and desperation increase the risk. Apart from talking to a suicidal person and encouraging him/her to go for counseling, what else can we do to prevent this? Going with someone to the counselor often helps. If the person won’t listen to you, you may need to talk to someone who might influence him or her. Saving a life is more important than violating a confidence. People often get uncomfortable when one discloses something as intimate and frightening as suicidal thoughts. What do you think can be done to reduce this stigma, either of suicidal people, or of depressive patients? Can people actually “change” their minds and accept someone who is suicidal? As people recognize that suicidal behavior is the result of a medical condition not a sign of weakness or character defect it will change. What is the most frequent method of suicide? Is the most frequent method different for men and women? Fifty-two percent of all people who kill themselves do so with a firearm, accounting for almost 17,000 deaths each year in the U.S. Use of a firearm is the number one method in those aged 35 and up. Depression and the feeling of a lack of support appear to be correlated with suicidal thoughts and behavior in some college students, according to research from Johns Hopkins Children’s Center, the University of Maryland and other institutions. The study, funded by AFSP and the National Institutes of Health, and published in the Journal of Affective Disorders, followed more than a thousand students throughout their college years, identifying factors linked to suicidal thinking and highlighting the importance of spotting high-risk students early on and referring them for treatment. Of the 1,085 students, 151 (12 percent) said they had pondered committing suicide at least once, 37 of whom (24.5 percent) said they did so repeatedly. Ten of the 151 said they made specific plans or carried out full-fledged attempts during college. Two of the 10 said they attempted suicide without ever planning to do so. Of the 151, 17 students reported attempting suicide before college, and 22 reported planning a suicide before college but not attempting it. 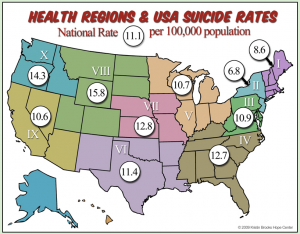 Suicide is currently the second leading cause of death among college-age students in the United States, with some 1,100 deaths each year. The study also showed that students who reported thinking repeatedly about suicide were no more likely to attempt it than those who did so only once. This surprising finding suggests that mental health professionals cannot assume that those who think about suicide more often are at a higher risk, nor are those who have a single suicidal thought necessarily safer than those who ponder suicide repeatedly. For additional information on this study, please contact Dr. Amelia Arria at aarria@umd.edu. It can be so powerful to connect with other survivors. And such a relief to be able to talk openly about suicide with people who really understand. For so many survivors, a crucial part of their healing process is the support and sense of connection they feel through sharing their grief with other survivors. The most common way this sharing occurs is through survivor support groups. These groups provide a safe place where survivors can share their experiences and support each other. Some survivors attend a support group almost immediately, some wait for years; others attend for a year or two and then go only occasionally — on anniversaries, holidays, or particularly difficult days. You may find that it takes a few meetings before you begin to feel comfortable. Or, you may find that the group setting isn’t quite right for you, but can still be a useful way to meet one or two fellow survivors who become new, lifelong friends based on the common bond of understanding the pain and tragedy of suicide loss..
Excerpt from AFSP: Support Groups. We encourage survivors to gather, to remember, to speak aloud the precious names of those lost to suicide. You are in a safe place with those who understand. If you are very new to the tragedy of suicide loss, despair may be your companion. We hope you find some time to rest your burden and share it with those of us who need no explanation. There is no map on this path to becoming whole. It is the most painful of journeys — full of twists and turns, bruised hearts and misunderstandings. Small wonders appear on this path but we may be too sore or fragile to recognize them. But there will be a day when you can look back and know that they were there. We share your loneliness. We share your sorrow. We share your questions. We honor those we love who have been lost to suicide. May the radiance and beauty of their lives never be defined by their deaths. Excerpt from AFSP: Surviving Suicide Loss. Suicide takes the lives of nearly 30,000 Americans every year. There are twice as many deaths due to suicide than HIV/AIDS. Between 1952 and 1995, suicide in young adults nearly tripled. 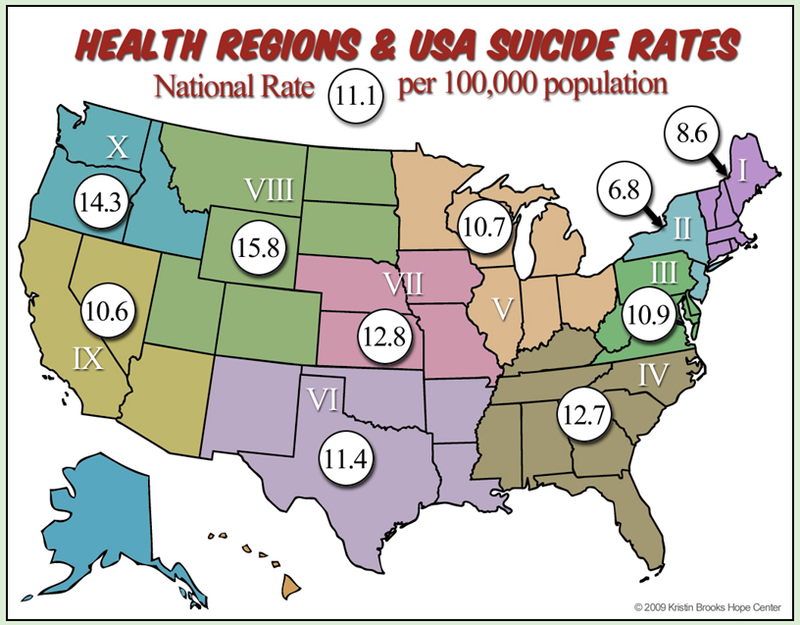 Over half of all suicides occur in adult men, ages 25-65. For young people 15-24 years old, suicide is the third leading cause of death. Suicide rates among the elderly are highest for those who are divorced or widowed. The highest suicide rate is among men over 85 years old: 65 per 100,000 persons. Substance abuse is a risk factor for suicide. Last year SAVE educated 10,618 youth & parents on depression and suicide prevention. Last year SAVE received 810 requests for information from 72 countries. According to the Violent Death Reporting System, in 2004 73% of suicides also tested positive for at least one substance (alcohol, cocaine, heroin or marijuana). Excerpt from SAVE | Suicide Facts. This is the TRUE and ACCURATE obituary of Brittany Rebecca Helton, as she lived and as she passed. The obituary that has been listed in any other newspaper is not factual and is full of false statements by Brittany’s stepmother. Brittany Rebecca Helton, 19, a student, of Muncy, Pa., passed away Aug. 4, 2010. She was born July 3, 1991, in Las Vegas. Brittany graduated from Muncy H.S. in 2009, where she was on the National Honor Roll and a member of the Key Club. She attended Lycoming College, where she was on the Dean’s List. She was a loving sister, daughter, granddaughter and friend. Brittany is survived by her mother and stepfather, Stacey L. Ackermann and Troy A. Ackermann, both of Las Vegas; sister and brother-in-law, Ashley and Jeff Lamb of Twentynine Palms, Calif.; sisters, Sheridan and Tristann Ackermann of Las Vegas; and grandparents, Mike and Sue White of Las Vegas. Funeral services were held in Montoursville, Pa., at Spitler Funeral Home. As published in the Las Vegas Review Journal.